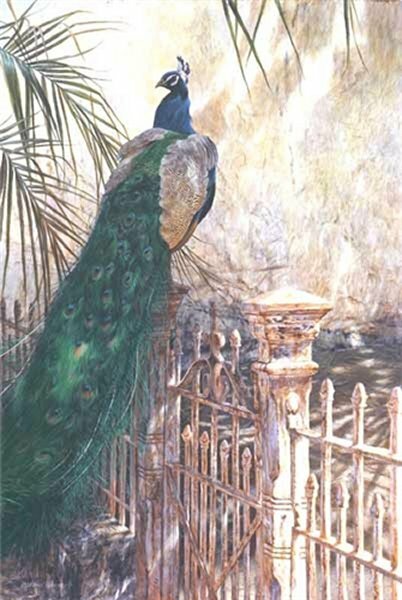 Old Colonial by Matthew Hillier ~ Hillier was enchanted by this beautiful peacock and by the setting he found him in. The rich color and texture of the bird contrast so elegantly with the simple patterns of sun and shadow on the stucco wall beyond. Old Colonial is an elegant portrait of one of nature's most extravagent animals!